Programming a vacation does not simply mean choosing the next destination but organizing in detail a real moment to enjoy with the people you love the most. Given the importance of a moment like this, it is not only the destination but also the accommodation that matters. In recent years, so-called boutique hotels have gained a growing success thanks to some peculiar aspects that make unique the structures of this type. From the well-designed, often futuristic design, with sophisticated and classy furnishings, boutique hotels strike attention from the first glance. An experienced and always helpful staff will be at your disposal to welcome you for a stay to remember. 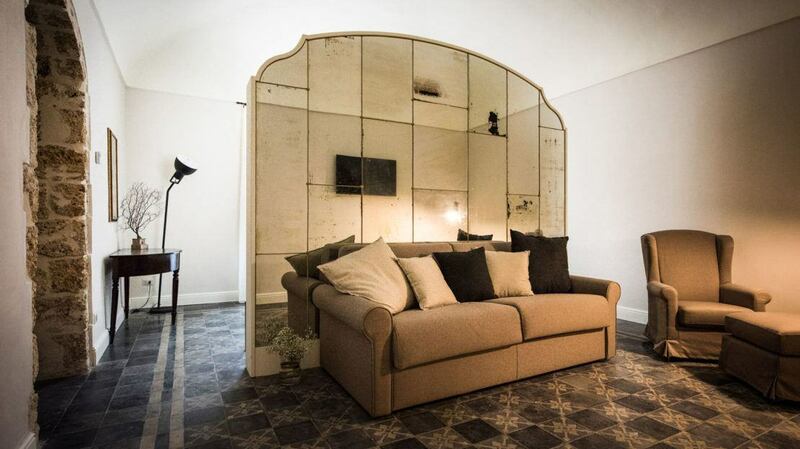 In Italy boutique hotels are many and spread all over the country. For those who love places immersed in nature and peace, Umbria is definitely one of the most popular Italian regions. Here, not far from Perugia, Spoleto, Orvieto and other major cities in the region, stands La Palazzetta del Vescovo, a historic residence built in 1763, becoming the summer residence of bishop Ludovico Gualtiero. The abandoned property began to live with a new use in 2000 when current owners decided to turn it into a romantic boutique hotel ideal for discovering the culture and traditions of such a rich and interesting region. Fully built in stone with a sloping roof and covered outdoor area to admire the panorama of the surrounding hills, taste a good wine as an aperitif in the evening or to have breakfast lulled by the sweet sound of the countryside. The Bishop’s Palace is among the boutique hotels that Charminly recommend if you are looking for a small corner of paradise in which to recover the energies. The rooms, available as superior, junior suites and romantic, are really very spacious and feature antique and modern furnishings expertly mixed with each other for a very glamorous final effect. The prevailing colors, from white to yellow, make the environment brighter and more serene. For those who want to visit the most southern part of Italy and admire the beauty of an island like Sicily, among the boutique hotels carefully selected by Charminly, our advice is to stay at San Carlo Suites, an extremely refined in the heart of Noto, in the province of Syracuse. Here, immersed in the historic center of the town, the sea can be reached with a few minutes’ walk. Noto is a small Sicilian village with a series of baroque architectural works that are even part of UNESCO. By staying at San Carlo Suites, simply overlooking the balcony, you will be able to admire eighteenth-century works of incredible beauty, including the Basilica of San Nicolò and the church of Montevergine. San Carlo Suites has 5 very large rooms and some of them, large as almost an apartment, can accommodate up to 4 people. A really chic detail is the presence in the 19th century original hand-painted majolica baths. The décor, cared in detail, prefers the warm and enveloping colors accentuated by the beauty of antique furniture made by local artisans. All this to make your stay interesting but also wonderful.